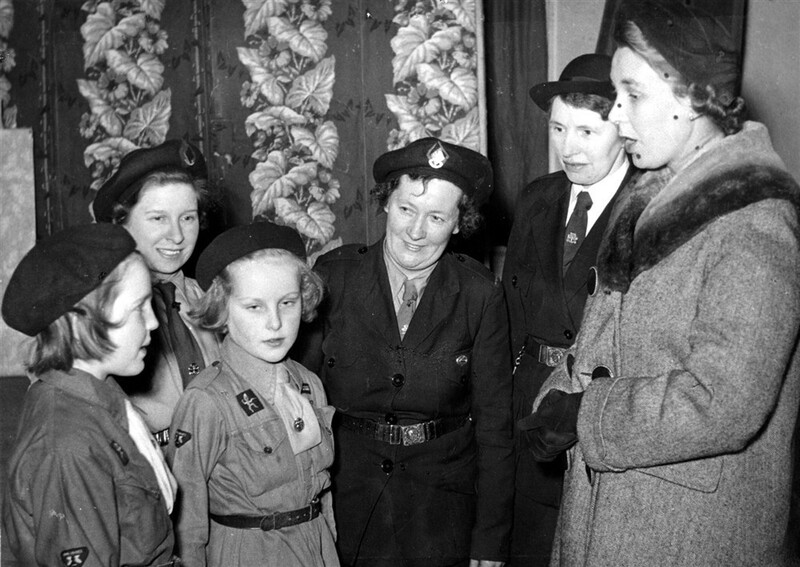 Three Bottesford Girl Guides and their leaders chatting with their distinguished guest, far right. LtoR Maureen Cooper, Margaret Taylor (Brownie leader), Mary Topps. Mrs Lane (Guide leader).